LoungeBuddy expands its in-app booking functionality in the US and UK with multiple partners. LoungeBuddy, the only single resource for travelers to discover, book and access airport lounges around the world, today announced the expansion of their in-app airport lounge booking functionality to the United States. LoungeBuddy will begin offering instant in-app bookings for Alaska Airlines Board Room lounges and Minute Suites locations across the US, as well as select Plaza Premium and Servisair lounge locations in the UK. On November 20, 2014, LoungeBuddy released Version 2.0, making it possible for all travelers to instantly book guaranteed airport lounge access in seconds from their mobile device - an industry first. This groundbreaking feature was initially launched in beta across every major airport in the United Kingdom. “Since we launched LoungeBuddy just 15 months ago, it has always been our mission to make the airport lounge industry more transparent and accessible for all travelers looking for a premium experience. We’re excited to be able to offer this new instant booking platform just in time for the winter holiday travel season”, says LoungeBuddy CEO, Tyler Dikman. For the first time ever, US travelers will now be able to use LoungeBuddy to purchase instant airport lounge access from their iPhone with just a few simple taps. No memberships, elite statuses or premium seat purchases are required. As of today, instant lounge access will be available in 16 of the busiest airports throughout the world, including major hubs in the United States like Dallas/Fort Worth (DFW), Atlanta (ATL), Seattle (SEA), Philadelphia (PHL) and Los Angeles (LAX). LoungeBuddy will continue to roll this functionality out to more partner lounges within the US, Europe, Canada, Asia and Australia. LoungeBuddy is pleased to announce our two flagship US launch partners for in-app instant lounge bookings: Alaska Airlines and Minute Suites. “These exceptional partners consistently rank highly in customer satisfaction and we’re proud to be able to offer their excellent facilities to LoungeBuddy customers,” says Tyler Dikman, CEO of LoungeBuddy. "Minute Suites is excited to be partnered with such an outstanding company like LoungeBuddy. Acquiring new customers through the enhanced LoungeBuddy booking systems will allow us to provide the top-tier customer service that our guests know and love," says Christopher Glass, Vice President of Operations at Minute Suites. "Alaska Airlines is committed to embracing new technology to improve the customer experience. Our partnership with LoungeBuddy means that passengers traveling through SEA, LAX, PDX, and ANC will now have the opportunity to instantly purchase access to one of our Board Rooms and enjoy an upgraded airport experience in seconds,” says Melyssa Schug, Manager of Airport Club Rooms at Alaska Airlines. Beginning today, LoungeBuddy members will be able to securely and conveniently book their next airport lounge visit with a single touch using Apple Pay within the LoungeBuddy App. This functionality is being made available at all partner lounges where LoungeBuddy offers in-app booking. “At LoungeBuddy we know that the airport experience is stressful. With Apple Pay integration and the announcement of our US flagship partners, Alaska Airlines and Minute Suites, your airport oasis is just a few seconds away”, says Tyler Dikman, CEO of LoungeBuddy. To manage passenger flow, check in guests, and create a personalized customer experience, LoungeBuddy has created a Lounge Management System run exclusively on iPads. Check-in speed and ease of use are what make this system such a powerful tool for LoungeBuddy’s partner network. This system will debut in many key airports, including London-Heathrow, London-Gatwick, Los Angeles, Seattle, Atlanta, and Philadelphia, among others. With the debut of this system, customers will be able to discover their airport oasis with LoungeBuddy, pay for their booking with their preferred credit card or Apple Pay, and check in to the lounge faster than ever before. In November 2014, LoungeBuddy officially announced their partnership with Plaza Premium Lounge. Starting today, instant in-app lounge booking functionality will be made available at Plaza Premium Lounge’s Departures and Arrivals Lounges in London-Heathrow’s Terminal 2. “We’re incredibly excited to be partnering with Plaza Premium Lounge Management Limited to offer our LoungeBuddy customers access to their fantastic Heathrow lounges, including their arrivals lounge which opened just last week,” says LoungeBuddy CEO, Tyler Dikman. LoungeBuddy™ is the only single resource for travelers to be able to discover, book and access airport lounges around the world. Hundreds of thousands of members use LoungeBuddy to discover their perfect airport oasis and improve their travel experience. LoungeBuddy covers over 2,000 airport lounges in more than 600 global airports. The free LoungeBuddy App is available on iOS and Android. To learn more about LoungeBuddy, visit http://www.loungebuddy.com. Alaska Airlines, a subsidiary of Alaska Air Group, together with its partner regional airlines, serves more than 100 cities through an expansive network in Alaska, the Lower 48, Hawaii, Canada and Mexico. Alaska Airlines ranked "Highest in Customer Satisfaction Among Traditional Network Carriers" in the J.D. Power and Associates for seven consecutive years from 2008 to 2014. Alaska Airlines' Mileage Plan also ranked highest in the 2014 Airline Loyalty/Rewards Program Satisfaction Report. For reservations, visit http://www.alaskaair.com. For more news and information, visit the Alaska Airlines Newsroom at http://www.alaskaair.com/newsroom. 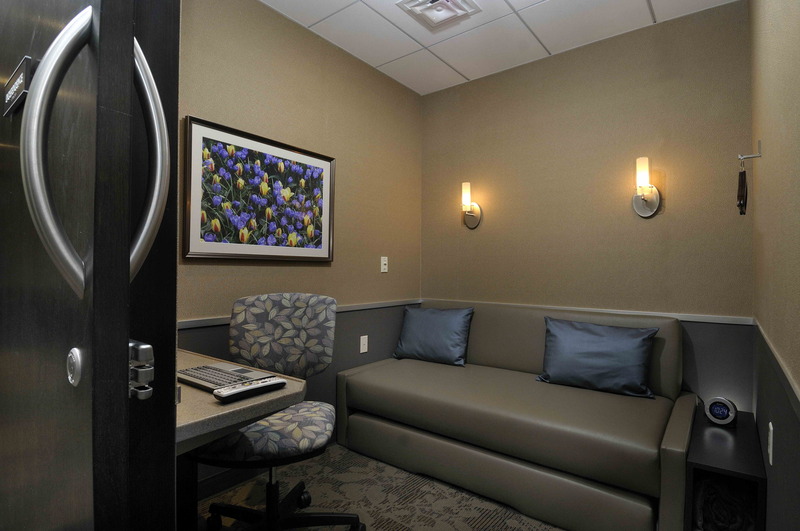 Minute Suites® provides around-the-clock nap centers for passengers to relax, conduct business or sleep in a private suite available by the hour. 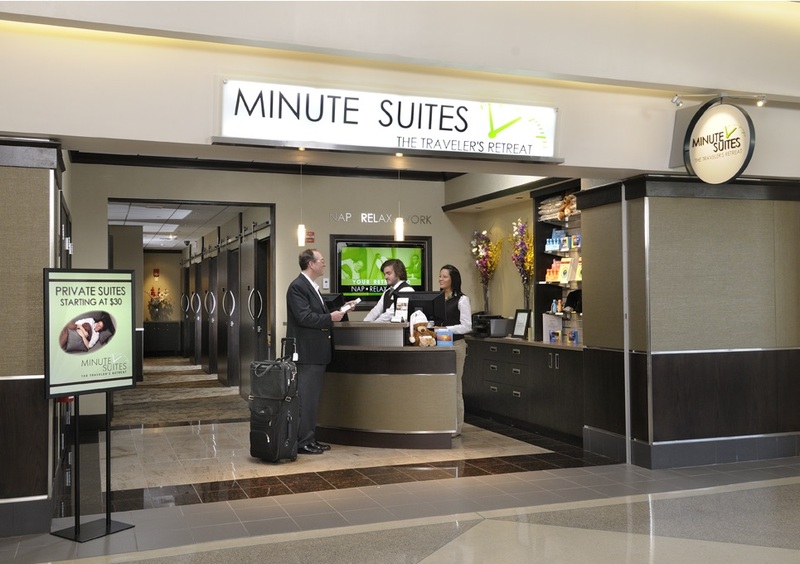 Minute Suites locations are available at numerous airports throughout the United States, including Hartsfield-Jackson Atlanta International Airport, Philadelphia International Airport and Dallas-Fort Worth International Airport. To learn more, please visit http://minutesuites.com/.